Ready to lead the charge in your pack, troop, team, or crew? 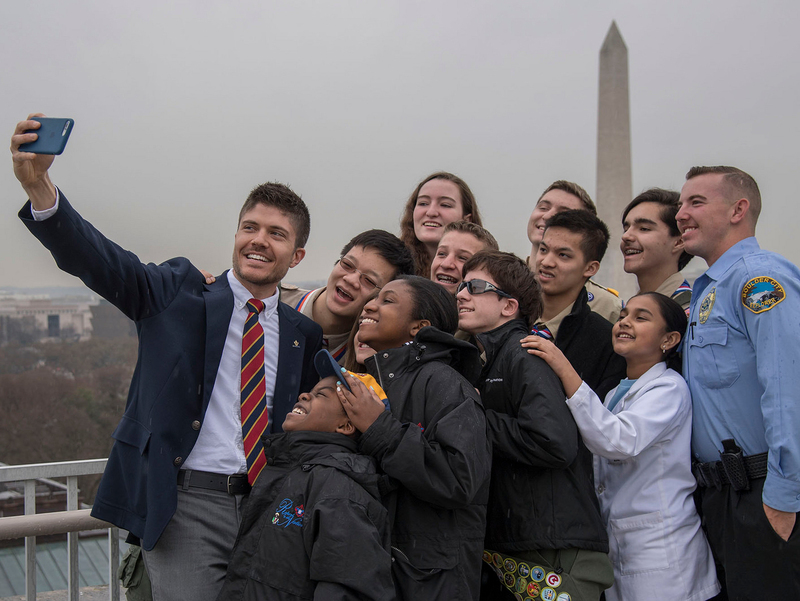 Check out the Boy Scouts of America’s new Discover card programs, which offer a lesson in financial responsibility for your Scouts and a boost for the BSA. This isn’t a credit card. Instead, it’s a prepaid, reloadable card that’s safer and more practical than the wad of cash in your Scouts’ cargo shorts. Parents, you can monitor your Scout’s purchases through the online or mobile site, making this an easy way to give your kids an allowance and ensure they don’t blow it all on comic books and candy bars. Learn more: Web site to register for more info. Moms and Dads, this one’s for you. This Discover credit card gives you the financial security you’d expect with a major credit card company backing your purchases, but it’s got one benefit you won’t find with a typical credit card: it rewards you and the Boy Scouts of America. A simple swipe of your card means a direct benefit to Scouting. A no-brainer, right? According to the Scout Wire post about the program, local councils are expected to earn as much as $10 million through this program over the next five years. That means better camping facilities, more Scouts at camp, and enhanced opportunities for local councils to deliver the program to Scout units. The cards aren’t yet available, but registering your name and e-mail address at the links above ensures that when they launch, you’ll be the first to know.